Welcome back students and especially those that are new to NMU. Marquette is a bustling place and, because the summer is not quite over, many areas of construction still exist. For example, there is still some significant road work on Presque Isle Avenue and in Presque Isle Park that I’m sure will affect your day. Speaking of Presque Isle Park, this is a popular destination for old and newcomers alike. Especially Black Rocks, where jumping from the high rocks into Lake Superior has become somewhat of a rite of passage and leads me to mention the perils of Lake Superior. Please take the time to familiarize yourself with the lake and its potential dangers. The locals are well aware, but sometimes the draw of its beauty underscores the lakes awesome power that is often not evident at first glance. So please take the time to learn before you leap. As a side note, you might want to pay attention to parking restrictions in that area as well. Late summer and fall continue to be a busy time for us here at the City. Due to the short construction season, we are often hurrying to finish projects while planning ahead for the next season. I’m sure that the new construction at Founders Landing will catch your eye and, if all goes as planned, we hope to have one more project there next summer. Housing close to downtown seems to be the area of emphasis, but housing growth in general is something that you’re also likely to see. The City is also working to develop some larger parcels of land in the Heartwood Forestland. This is an approximate 2400 acre tract near the south City limits and Marquette Mountain Ski Hill and is also the heart of the NTN trail biking network. We realize the tremendous popularity and value of the network to both locals and visitors alike and are working hand in hand with the Noquemanon Trail Network to ensure its continued appeal and success. Summer has arrived, although it doesn’t seem to feel like it sometimes. But hey, if you lived here as long as I have, you know this is more like the norm. Warm or not, this time of year represents the construction season for us and we’re back at it, although not quite as aggressively as we were last summer. century old. Presque Isle Avenue has needed work for over a quarter of a century and I’m happy that we are finally getting to it. The other road project is South Fifth Street near City Hall which is also an older part of the City. While traveling, you might also take note that we are replacing all of our traffic signals and street lights. This is all part of an energy saving upgrade that has been long overdue. Not only will the energy savings pay for the improvements, but by putting in new smarter traffic signals, your ability to navigate through town will be greatly improved. If all goes according to plan, we should have this work complete about mid-summer and in time for all of the visitors that usually arrive about then. All in all, it should be another fine summer for City residents and visitors alike.  We continue to move forward with many positives things in Marquette that I feel will only contribute to a better living and visiting experience. Finally, we are on our way to a real spring and summer. It’s late April as I write this and, as recently as the significant snow storm two weeks ago, I had my doubts spring would come. Reports indicated we received anywhere from 20 to 30 inches of the white stuff over a three-day period. Normally when I write this article I try to cover a few different topics that I think might be of interest. This time, however, I’d only like to touch on one. That being the U.P. Health Systems new $300M plus hospital. You see, we just finished a tour of the new facility with members of the City Commission, the Brownfield Redevelopment Authority and City staff and it was nothing but impressive. It’s impressive in size, technology, logistics and efficiency, but what really struck me were the services. We have all become very comfortable with a hospital in our community as we’ve had at least one for decades. Maybe, in some ways, too comfortable because the truth is, under the current healthcare model, this kind of hospital with these kinds of services in a city like Marquette are not the norm. In other words, we are fortunate. You are more likely to see this type of facility and services in a less remote, more metropolitan area. Although we do have most, if not all, of these services now, we are going to have the most advanced technology available, attached to a more efficient process, all wrapped up in a state of the art building. From my information, which I consider the reliable kind, this will all be supported by a high-quality staff. I can personally vouch for the staff because of recent experiences that support the fact that they are nothing but the best. In other words, as a community we are very fortunate to live in an area where an entity like U.P. Health Systems is willing to provide a service that is not available to many other areas in this country. I, for one, am thankful that they are here and I hope you will join me in giving them the support that they need. If not, I’m quite sure they will earn it. Well, it’s midwinter and we have successfully completed all of the annual outdoor events that I talked about in the last newsletter. I need to go light on the “we” because I have had very little to do with that success, but in a small way we’re all involved somehow. I want to take this opportunity to congratulate and thank all of those who ARE in the thick of it and have worked very hard over the years to make our community a positive place to be. Especially in the winter. This time of year for the City is filled with planning and preparing for the summer. Which to us is also best described as “the short construction season”. We try to schedule these projects through a five-year plan, but on occasion things happen to either change or add to that plan. Two such changes happened last year. The first was the result of a serious storm last October that caused considerable shoreline damage and the second was the long-awaited acquisition of the old Lighthouse property from the U.S. Coast Guard. 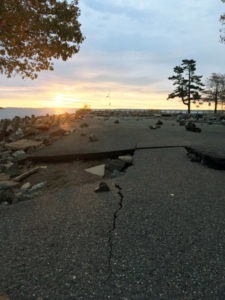 A large portion of the shoreline that was damaged during the storm occurred at Shiras Park (Picnic Rocks) where much of the shoreline and a large part of the parking area were impacted. As a result, the park was closed to the public. By shifting some of our financial resources around we hope to have a short-term fix in place so that the park can be re-opened for this summer. Because some of the fixes that we have in mind (both long and short-term) will reconfigure the parking area and entrance, the park will look somewhat different when re-opened. We will also begin the planning for a permanent, long-term fix. You can also look forward to some improvements at the new Lighthouse Park. The City Commission recently accepted a long-term development plan for the park that outlines the proposed improvements. Also by shifting some of our financial resources we are happy to say that we will begin some of those improvements this summer as well. At the very least we hope to relocate the multiuse path, refurbish the Captain’s house for use as a short-term rental, possibly refurbish the old station house and generally clean-up the property. If time and money allows we will also look at improving the entrance to the park via East Arch Street. Overall, we’re looking forward to another busy “short construction season” and we hope that you are here with us. Winter is upon us and the snow is already several inches (if not feet) deep. Marquette and the surrounding area, however, keeps moving forward and keeps pace with the seasons. It seems that no matter the season there is always something going on and something to do. Let me give you a few examples. By the time you read this, we will most likely be in the middle of the Holiday season and the annual downtown New Year’s Eve Ball Drop is probably something that you don’t want to miss. It will be held in the 100 block of West Washington Street and attended by thousands of revelers. The annual Heikki Lunta Festival will be held in Negaunee on Jan. 19-20. The 131st annual Suicide Hill Ski Jumping Tournament in Ishpeming will be held on Jan. 23. The annual Noquemanon (Noque) Ski Marathon will be held Jan. 26. The race begins in Ishpeming and ends in Marquette. Last, but surely not least, the annual UP 200 and Midnight Run Dog Sled Race will be held Feb. 16-18. These are but a few upcoming events as I’m sure there are many more. I would suggest going to the website Marquette365.com for a more complete calendar of events. The website, which is provided by the Chamber of Commerce and community supported, is still somewhat in its infancy but is updated frequently. Now, go out and enjoy the winter because, before you know it, spring and summer will be here with another list of events that just seem to keep coming. As you read this, most (if not all) of the local road projects should be complete. However, I still feel compelled to apologize one more time for all the inconveniences caused by the sheer number of projects this season. If you’re a local or have been in the area at all this summer, you know what I’m talking about and if you’re new to the area or just passing through, I hope you will enjoy all of our recent traffic improvements. There is more to be done but we are going to have to wait until next construction season for those projects. Stay tuned. On a more somber note, the area has just experienced two significant weather events (within the same week) that caused not only property damage, but an unfortunate loss of life as well. The good news is that City staff responded very well to both events and I am both happy and proud of the work that they were able to accomplish under harsh terms. 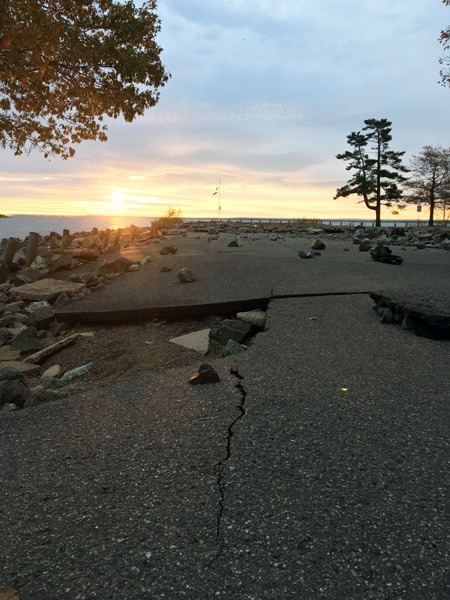 Our lakeshore north of East Fair Avenue was hit especially hard but we are doing our best to keep it accessible to the public and we are developing plans to repair and/or improve what we can. On the bad news side of things, two lives were lost when two people ventured too close to the large waves caused by the storm on the north side of Presque Isle Park and were washed into Lake Superior. Although this type of storm is infrequent, it happens often enough and most, if not all, locals are very aware of the Lake Superior’s intensity and avoid putting themselves in this kind of danger. As a matter of fact, Lake Superior is more like an ocean or sea to us instead of a lake. We do our best to educate and warn as many people as possible, including denying access to those areas that we deem dangerous. Unfortunately, no matter how much we post signs, lock gates or warn people, there are still the few who don’t take it seriously. Please enjoy the beauty of Lake Superior but also respect it’s power and unforgiveness. Welcome back NMU students, faculty and staff. It’s hard to believe that it’s already time to go back to school, but we all enjoy having you around and contributing to the great community that we live in. However, I do have to apologize for the state of some of our streets especially those around campus. We made every effort to be further along in the construction process but, typical of many construction projects, things happen to change the best laid plans. In this case, the culprit has been mostly the weather as it has been wetter than expected which slows much of the work. The good news is that it all should be done before the snow flies (which roughly translates to the end of October). You will also likely notice a lot more construction taking place than is the norm for this time of year. Supported by the progressive view of the City Commission, we are taking advantage of the many new opportunities that are being presented to us to encourage new development. I can honestly say that much of this is being driven by the construction of the new Duke LifePoint hospital in the more centralized location near downtown. The City Commission’s approach has been to be “partners” in as much of the development as we possibly can. This makes it much more advantageous for everyone to contribute to the success of everything that we do here in the City. As a partner, I feel strongly that a development’s success is our success and, in the case of NMU, what is good for the University is good for Marquette. One last word to those coming to Marquette for the first time, either as a student, visitor or even those of you returning to the City, please respect Lake Superior. The lake is beautiful and sometimes wondrous to look at but it is also much like a sea and can be very unpredictable, especially in the fall and winter months. Please enjoy the view, but stay safe. Well, we’ve officially begun the summer season but if you’ve lived around here long enough you know that could mean anything from cool to hot and wet to dry weather. It looks like we’re in for cool and wet which can’t, and won’t, prevent us from doing what we do here in the U.P. For many of us, including those of us who run the City, it often means cramming all of our winter made plans into action during the few short months of summer. But before I say anything further, I feel that I need to reiterate my previous apology (in the last newsletter) for any inconvenience we are causing by all the construction taking place. Especially the traffic congestion that is caused by detours. Sorry about that. No matter the inconveniences, it looks like our summer is shaping up in fine Marquette style with our calendar filled with usual array of festivals, parades and events. The Fourth of July holiday is right around the corner and all indications are that the parade and fireworks organizers are at full speed to make this year’s events the best ever. I happen to have an inside track through one of our City Commissioners who is at the tip of the fireworks spear and I can tell by his demeanor (and just knowing him) that he will not fail. On another note, the construction of the new Duke LifePoint Hospital is on schedule and moving along very nicely. Because we are responsible for the road projects surrounding the new hospital we are essentially “partners” with DLP in this project. We continue to meet and share information on a regular basis and are very confident that, once competed, the project will have a tremendously positive impact on the entire community. We are over a month into spring and to most people that means sunshine, budding trees and flowers and more pleasant weather. To us it means a busier time with a multitude of work including, but not limited to, the opening of parks and beaches, the cleaning of streets and multiuse paths and, of course, construction. Our two major road projects have been put out for bids and the US41/M28 Bypass and Seventh Street project have already been awarded. In case you didn’t get a chance to see one of my earlier reports, this project involves two roundabouts on the bypass, a third one on Baraga near the new hospital construction site as well as the re-construction of Seventh Street as it nears the bypass intersection. The other major road project involves the building of three more roundabouts in north Marquette. Two on Wright Street at the Lincoln Avenue and Sugarloaf Avenue intersections with the third at Presque Isle and Fair Avenues. I apologize to all of you for the traffic congestion that this might cause but, in the end, it will vastly improve the traffic flow and safety for all who traverse our City streets and sidewalks. I have mentioned in previous musings the many projects that have or will be occurring in the City and it seems that more are coming in every day. I’d like to take credit but the truth is that Marquette has taken on a life of its own. What staff and the City Commission can take credit for is recognizing the opportunities when they come. It seems that each new project is something a little out of the ordinary, causing all of us to think a little differently than we normally do. A common theme among many cities in Michigan is that we should be looking at creative ways of accomplishing the success of the City. In other words, make it easier and more attractive for people to live, work and develop here. I’m thankful that the City Commission and staff see it that way as well. Well it’s March and we are all enjoying an unusual reprieve from the harsh winter weather. But, if you been around here long enough, you know it’s only a reprieve and we’ll soon be back out with our shovels and snow blowers. The last time I wrote, I mentioned that everything seems to be moving along smoothly and I’m glad to report it still is. However, much like my last job, as the old stuff goes out , the new stuff comes in. In this instance, it seems like the new is coming in faster than the old is going out. Which is good in our case because it represents the continuing positive trend in growth and progress. One of the new directions that the City has recently initiated is a full examination of energy efficiency within our own facilities and public utilities. Recent state legislation, enacted in August 2016, now allows municipalities to take advantage of a lease program to finance new infrastructure that will result in energy savings. The legislation is called the Tax Exempt Lease Program or TELP. It’s great for us in that it allows us to finance energy saving infrastructure projects (which, by the way, are all almost in our Capital Improvement Plan already) over any number of years to a maximum of 20 years. It won’t be counted as debt (which is important to our financial stature) and the best part is that all the improvements will be paid for by the dollars saved in energy costs. In other words, we are paying for all the improvements with money that we are already spending on energy. The initial study is expected to be completed by July of this year, but all of our preliminary information suggests that it will be successful. This could ultimately be a win-win-win in that we will be more energy efficient, be able to improve infrastructure and more efficiently spend tax dollars, which I’m sure everyone would agree is a good idea. Hopefully in one of my near future articles I will be able to report a successful effort. See you next time.